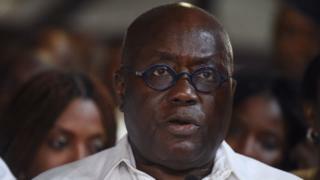 Ghana president Nana Akufo-Addo dey prepare to talk im State of di Nation address to parliament on Thursday, 8 February. Na Kwasi Ameyaw-Cheremeh, Majority Chief Whip, talk di announcement on behalf of di Majority Leader, Osei Kyei-Mensah-Bonsu. Di State of di Nation address na something wey dem dey do every year. For inside di matter, di president go talk finance and social state of di country, dis one na according to di constitution. Ameyaw-Cheremeh add say make all di members of di House no do African time wen di president wan show to talk di State of di Nation matter; say make everybodi show face early.